These are marvelous poems, written by a mature woman who has lived life, and who, in examining the details of her past and present, uncovers mystery. but to muse on love. gathering I would not hear. Natalie Safir’s long career in poetry includes editing, lecturing, publishing poems in numerous literary journals, running a long-term reading series, teaching private as well as public writing workshops in local institutions, and authoring five collections of poems. Her poem “Matisse’s Dance” has been anthologized in college texts by The McGraw Hill Co. and in Art & Artists, Everyman edition, Knopf, 2012. 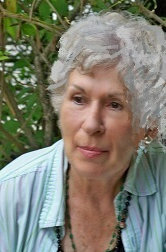 Her Jungian fairytale, “The Woman with Midnight Hair” was published in 2010. She taught memoir workshops at a local senior center and currently runs “Stories I Tell My Friends” at the Warner Library in Tarrytown. Residing in Tarrytown, NY, she is a certified empowerment coach practicing Dreamwork.